Performance and style hit the grass running with Husqvarna’s Z200 series of zero-turn mowers. Cutting-edge design, proven performance and innovative features combine to make lawn maintenance an event instead of a chore. 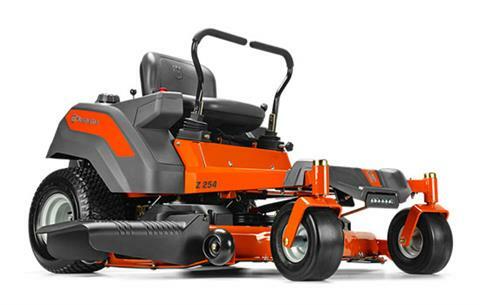 Featuring a 54-inch reinforced steel cutting deck, the Z254 mower is powered by a 26-horsepower Kohler engine. 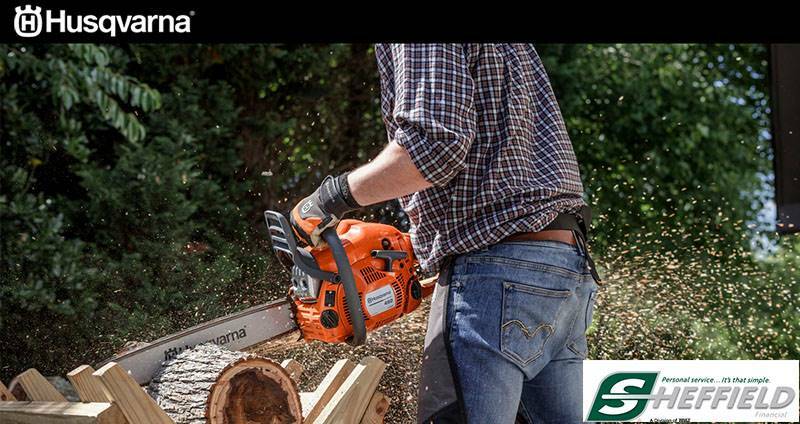 Plus, an innovative, maintenance-free transmission makes this an easy mower to own, season after season. Look no further for your next turf cutting machine. REINFORCED STEEL CUTTING DECK: The stamped cutting deck is reinforced with heavy flat-stock steel for added strength and durability on the leading edge and trim side. BUMPER WITH INTEGRATED LED HEADLIGHTS: The integrated front guard/ bumper offers bold styling while protecting the nose of the unit. The centrally located bright LED headlight kit provides improved visibility in dark conditions. KOHLER ENGINE: Premium engine from Kohler features commercial grade construction and quality components for long life and dependable mowing performance. Front - 11 x 6-5 in. Chute up - 57 in.